Welcome to Hall & Roberts [Provisions] Limited. 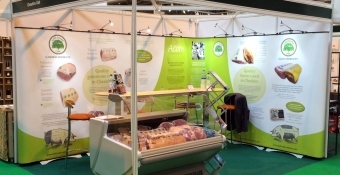 Hall & Roberts Provisions Limited is a successful family-owned company that has over 30 years experience in the bacon industry, supplying major supermarket chains and respected wholesalers within the UK. We give a fast and friendly, unrivalled level of service within the industry and with our comprehensive knowledge of butchery and the provisions trade, we can help you get the best from our products. Our products are cured with our unique Cheshire Oak recipe to create our renowned traditional taste. Hall and Roberts can also supply bacon or gammon smoked using our state-of-the-art smoke house. "Hall & Roberts provide the highest standard produce, and I would always recommend them to any new customer"